AUCTIONEER NOTE: Al Gordon is moving to a different location and needs to downsize. CONTACT US TODAY, TO CONSIGN YOUR EQUIPMENT. We will be accepting various types Construction and Contractor Equip. : Skidsteers. All types of Loaders. Excavators. Cranes. Backhoes. Trenchers. Tiling machines. Boomlifts. Scissorlifts. Boom lifts. Forklifts. Trucks. Trailers. Other like items. 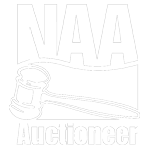 NOW CONSIGNED: COMPACT EXCAVATOR: Bobcat E35 / SKIDLOADER: Gehl 7810 / SCISSORLIFT: Skyjack 3220 electric / DUMP TRUCK: 1984 Ford F-700 single axle / UTILITY TRUCK: Chevy flatbed / PICKUPS: 1997 Chevy 3/4 T; 1998 Chevy 1 T / VAN: 1997 Ford Club Wagon / TAMPERS: MBW & Wacker jumping jack / TRASH PUMP: 3", Honda power / AIR COMP. : LeRoy 85 portable, Ford 4 cyl / ATTACHMENT: King Cutter 6' box blade / PUMP PULLER: UP-Z-Dazy model 20 / TRENCH BOX: Aluminum, 6' x 3' x 6', Light shield, LSP 24-6 / RECOVERY SYSTEM & TANK / General MINI-ROOTER / SHOP EQUIPMENT: Chicago 8' leaf brake, 16 ga.; Rexco 30" foot brake; Roper Whitney brake, model 422; Ridgid No. 270 threader w/foot control; Lockformer 20 ga; Wilder workhorse 2024 slitter; DeWalt D28755 saw; Jig saw; Clark cut-off saw; (2) Stihl TS60 demo saws; Ridgid die cutter, 4"; Arrow 30" bar folder; Bar folder, 20"; (3) Pextow folders; Spot welder, 7", foot operated; Steel sheet rack, 105" x 49"; Vise 1/2" - 4" / LARGE QUANTITY SPECIALIZED TOOLS: Crimpers, Cordless Hitachi, Bosch, and Milwaukee. Much, much, more. Uponor propex battery expander tool. Stadler Fostapex prep tool, 1/2" - 3/4". Jib DV 85 deep vacuum pump. AES-ntron retriever refrigerant recovery system. Ridgid 2 - 4" pipe cutter. Ridgid Tool Co. 48" pipe wrench. Appion G5 twin refrigerant recovery unit. Capaoit 1/2 - 4" pipe vise. Makita cordless 2.6 ah drill & charger. Makita 6343D cordless drill, battery & charger. DeWalt 18 v cordless drill, sawzall, & charger. Wayne utility pump, 4 hp, Honda GX120. 2 stage FastVac vacuum pump. Ridgid 18 v. drill / driver, 2 sp. reversible & charger. Milwaukee electric sawzall, orbital super. Partner K2300 EL abrasive saw. (8) Metal cut off wheels. Light bubls infrared, 240 v. FTE 650 W.
Tekton torque wrench 1/2" drive, 25-250 per lb. Comspec control Nitrogen oxygen, P1879-C0/VC-25. DeWalt DC759 1/2" cordless drill. DeWalt DC825 impact driver, 1/4". (3) Electric drills & Craftmans cutting tool. Storm Cat portable charger, 700 running watts. Lincoln cordless power grease gun. Chicago cordless 18 v. drill/driver. DeWalt HD dual speed hammer drill. Tektron 1/2" DR impact sockets. Tektron 1/2" DR impact sockets, metric. DeWalt drill bit set, etc. Igloo 3 gal water cooler. Stanley fat max screws organizer. Stanley masonary trapping screw organizer. Stanley electric connector tool organizer. DeWalt cordless tool assortment kit. Lasermark automatic self-leveling rotary laser. (2) Gas cans, 5 gal. & 2 gal. (4) Diesel fuel cans, 5 gal. Werner 6 ft. step ladder. Northern industrial portable plasma cutter model 375. Cat hydraulic oil, 2 gal. Fleet coolant /antifreeze, 1 gal. Sod staples, 6 x 1 x 6. (2) Johnson 2 ft. levels. Keson 100 ft. chalk line reel. (4) Saw blade & parting wheels. American power cable puller, 11 T.
(2) Crow bar, 3 ft.
NYE #88 pipe threading stand. Toledo #7 pipe threading stand. Ridgid tri-stand #40A threading stand. EZ-set bull dog quick hook. ALK TA model 216AX4 power washer. Sprayer model 1949, 3.5 gal. Service floor jack, 3 1/2 T.
Schumacher SE series battery charger, 200 amp. DeWalt air compressor, DXCMLA1983054, 30 gal, 175 PSI. Storage and metal cabinet, 10 drawer. Pipe wrench & misc. tools. Trailer hitch balls & misc. Hack saw & misc. tools. DeWalt angle grinder DWE-402, 4 1/2. Roto Zip cut-off tool, model RZ1. Tap & die set, 40 pcs. (4) Jacks tands, 3 T.
(8) Tin snips & misc. tool. (2) Jack stands, 12 T.
Box PVC cement,rubber gloves, GoJO, etc. 1st aid kits, caution tape, etc. Parts cleaner, stell rust F/X. New paint pans & roller. Cat parts, tooth bar for skidder, bucket pin, etc. RCA wsound deck, Apex DVS player, Sony DVD player. Spyder Victor paint gun, w/Brase Eagle scoop. Seat cushion, light bar, etc. Sansui AM/FM stereo tuner amplifier & speakers. Rubber matting & flex tubing. Chain drive 3.5 hp tiller. (6) Alliance Super sand bags. (8) Bags Seed, bedding, etc. Scotsman freezer, does not work. (2) Broom & snow shovel. (6) Concrete forms, 4" x 12. MFC (Metal Forms Corporation) concrete forms, appox. 60 running feet. Gehl 7810 skidloader, hrs. on meter 2,573, 2 sp., turbo, heat, air, 84" smooth bucket. Skyjack 3220 electric scissor lift. Bobcat E35 compact excavator, sn A93K14808, 3,500 hrs. 1984 Ford F-700 single axle dump truck. LeRoy 85 portable air compressor, Ford 4 cyl. Alumimum trench box,6' x 3' x 6', Light shield, LSP 24-6. King Cutter 6' box blade. TERMS: Everything sells like is, as is, where is. No warranties or guarantees are in effect whether expressed or implied. All Sales Final. Cash, Wire Transfer, Credit Card with additional fee, or Check accompanied by a Letter of Credit from bank to guarantee check. Buyers Premium Applies: For onsite purchases 12% for Webcast purchases 15%. AUCTIONEER NOTE: Al Gordon is moving to a different location and needs to downsize. CONTACT US TODAY, TO CONSIGN YOUR EQUIPMENT. We will be accepting various types Construction and Contractor Equip. : Skidsteers. All types of Loaders. Excavators. Cranes. Backhoes. Trenchers. Tiling machines. Boomlifts. Scissorlifts. Boom lifts. Forklifts. Trucks. Trailers. Other like items.